Last month, the author decided it’s time for a change, so he replaced his iPhone with a Google Nexus 6P phablet. Let's see why. As a mobile evangelist at Perfecto, I have observed the entire mobile and web space for the past 10+ years, following the major trends both in the device/hardware front and the platform/OS (operating System) front. I was an Apple user for the past 2 years, using an iPhone 6 Plus device both for my personal and my daily work activities. Last month, I decided it’s time for a change, so I replaced my iPhone with a Google Nexus 6P phablet. In the front of quality and/vs. innovation, I found out that as a 2-year trend, Apple’s iOS was constantly lagging in quality, with a resulting reduction in innovative features and end-user experience. For the past 2 years, Apple released 10 versions of iOS 8, stopping at a stable GA of iOS 8.4.1, while for iOS 9 Apple released 10+ versions, stopping at a recent 9.3.5 GA release that addresses security issues. To compare this trend to Android platform – Android 5.0 Lollipop was released in November 2014 and was enhanced till latest version of 5.1.1 (~5 versions in 2 years). Android Marshmallow 6.0 was released in October 2015 and since then only had an additional version of 6.0.1 release. 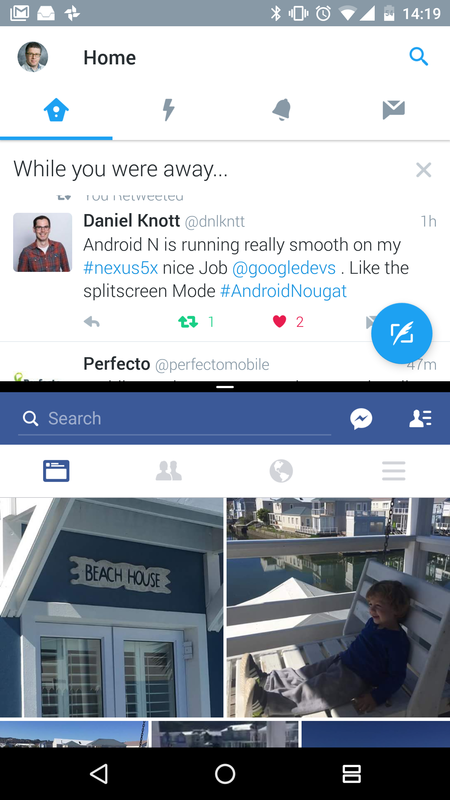 Last month (August 22nd) Google released its new Nougat 7.0 release that is available to users (like me) that hold a Nexus device. 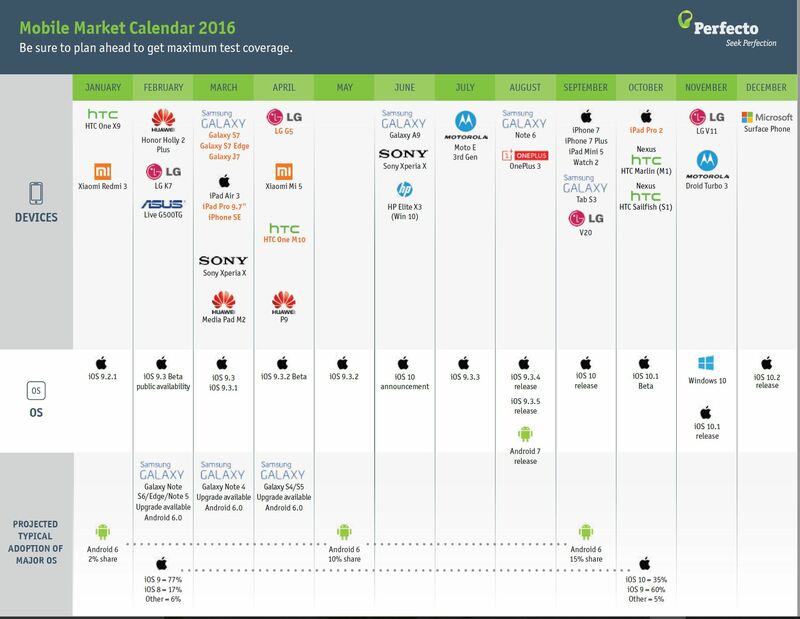 iOS 10 is just around the corner with the iPhone 7 devices, but based on the current trend and enormous public Beta versions, it seems like no major changes are expected in the quality/release cadence. 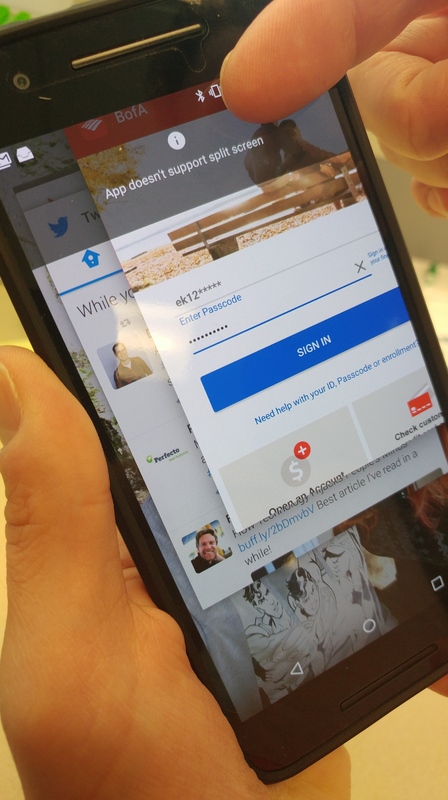 In the Android history, we see some major enhancements around sensor-based capabilities for payment, logging in as well as UX (user experience) features such as multi-window support (see below image) and Android Doze (battery saving capability). In iOS we also see enhancements around sensors like force-touch, apple pay however these features IMO come in short compared to the platform stability over the past 24 months and the platform constraints which i’ll highlight in the next section. From an end user perspective, some of the important platform features involve the ability to customize the UX and look and feel of the device. Also, having the ability to easily manage media files, such as photos and music, with a reasonable storage availability. Apple's flagship device with massive market share across regions is the iPhone 6/6S with a default storage (un-expandable) of 16GB – I hardly know a person who has this device/storage size that is happy with that, and does not need to constantly delete files, cancel auto savings of WhatsApp media files, and the like. In addition, continuously working with iTunes software as a dependency to sync media and songs is a pain, and often I found myself losing my favorite music files or getting them duplicated by simply having to switch from 1 PC to another. (People do that, and there are procedures that might have prevented this outcome, but still.) Compared to the above, most Android devices that are not coming with an external storage option are by default coming with 64 GB of internal memory, and in addition, working with the music file system is a simple and straightforward task to do. Switching from my iPhone and iTunes to a Nexus device while having my Gmail account was a very simple thing to do. My music, photos, and apps easily “followed” me to the Android device that is already running Android 7 in a stable way. iOS is not all bad, don’t get me wrong – from an adoption perspective, and device/OS fragmentation this is by far a much better-managed platform compared to Android, that rolls out its latest GA version in a 4-6 months delay to a non-Nexus device (example: Samsung). In addition, the iOS tablets are still leaders, with 4-6 years old tablets like iPad Air, iPad 2 being the most commonly used tablets in the market that can still run iOS 9. That is not the case when it comes to Android tablets; they tend to be replaced by their end-users in a shorter period of time than iPads. From a forward-looking perspective, my opinion is that Google is still going to have a global market share advantage over Apple and will continue to innovate with less frequent releases due to higher quality than Apple. 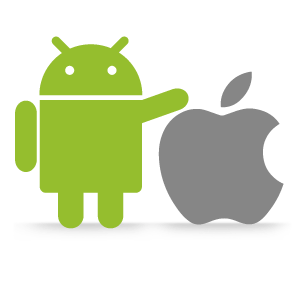 2017 is going to show us a continuous battle between Android 7 and iOS 10 in a market that becomes more and more digital and mobile dependent, and with this in mind – the challenge of quality, innovation, and less restrictions will be even more critical to independent users as well as large enterprises who are already today fully digital. As an end-user, I would look at both Google and Apple and examine how their overall digital strategy will transform and enable easier connectivity with smart devices like watches etc., as well as less limited storage and device/OS customization. From a Dev and Test perspective i would assume we will continue to see growing adoption of open-source tools such as Espresso, XCTest UI, Appium etc. as a method of keeping up with the OS platform vendors – Only such open-source frameworks can easily and dynamically grow and support new features and functionalities compared to legacy/commercial tools which are slower to introduce new API’s and new capabilities into their solutions.